I was meeting my parents for lunch one day before going to Mong Kok and I knew I had to get some delicious food in me before heading there again for the second time in a row! I was craving for Japanese, and thankfully they were too. As they were staying in Causeway Bay, I thought of this place, the Mon. I have been here with a friend before and thought it was pretty good (read first review here). 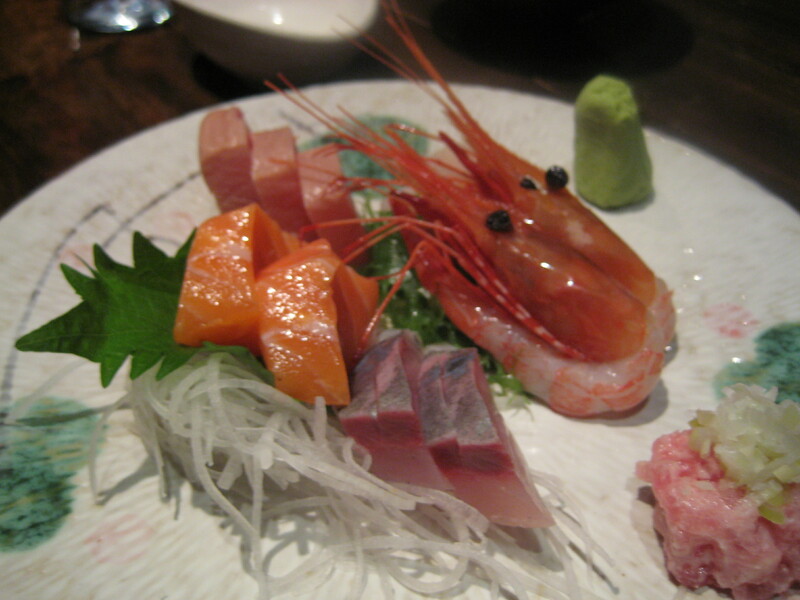 They left the ordering to me (which can go either way), one wanted sashimi, the other sushi, and one other something ‘deep fried’ – no guessing who asked that! 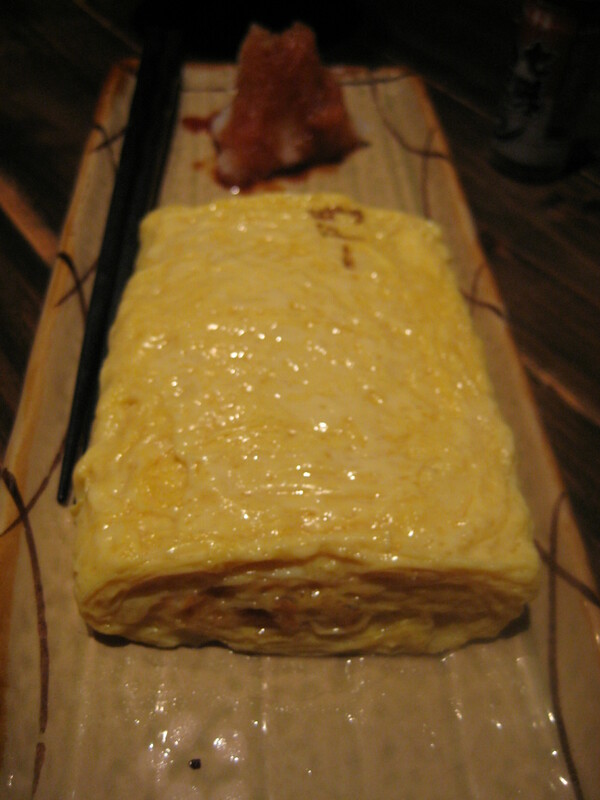 I wanted the crab tamagoyaki, which from memory was good, so a plate was definitely in order. It was as good as I have remembered – it was creamy and sweet but delightful! We ordered one of the sashimi set lunch, which came with rice and miso soup. 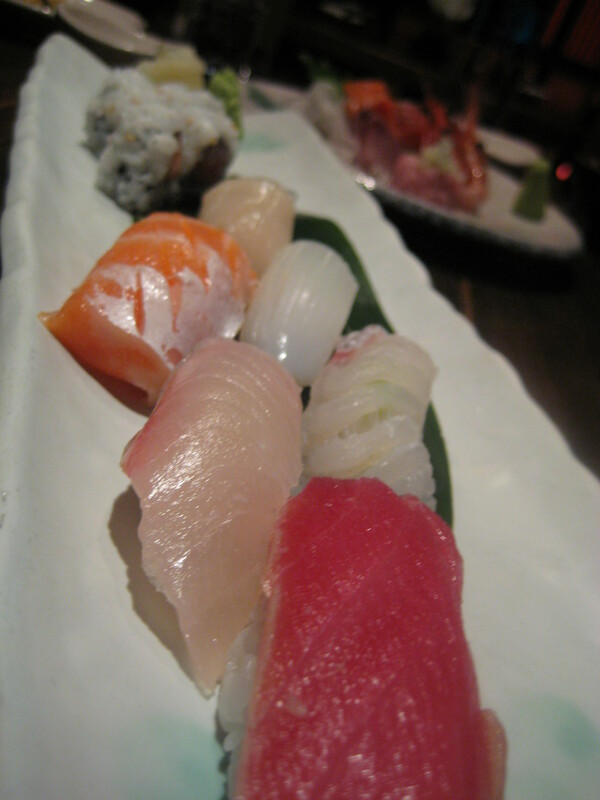 The sashimi were fresh and refreshing. And one of the sushi set lunch, which also came with miso soup but we asked for udon noodles instead of rice. Sushi was fresh and light. 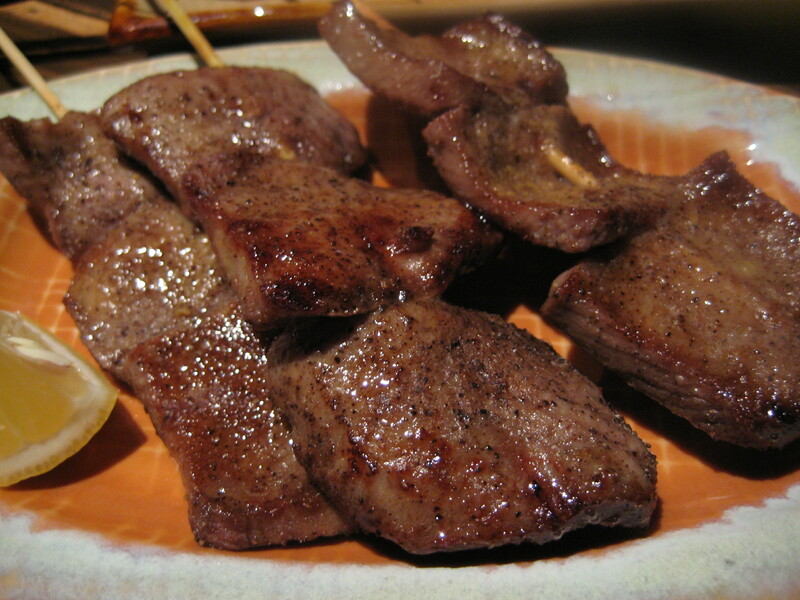 Ordered 3 serve of ox tongue (one serve is one stick!!!!). The ox tongues were a little salty for my liking, but tender. It was definitely my brother’s favourite! 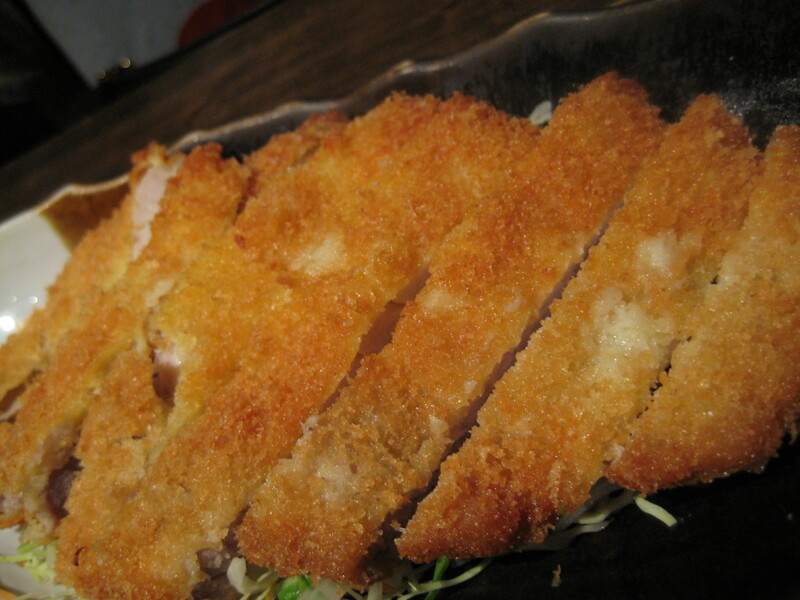 The pork tonkatsu was good but I have had better tonkatsu in butagumi. It wasn’t as crispy but it was definitely succulent. The crab croquettes were delicious. 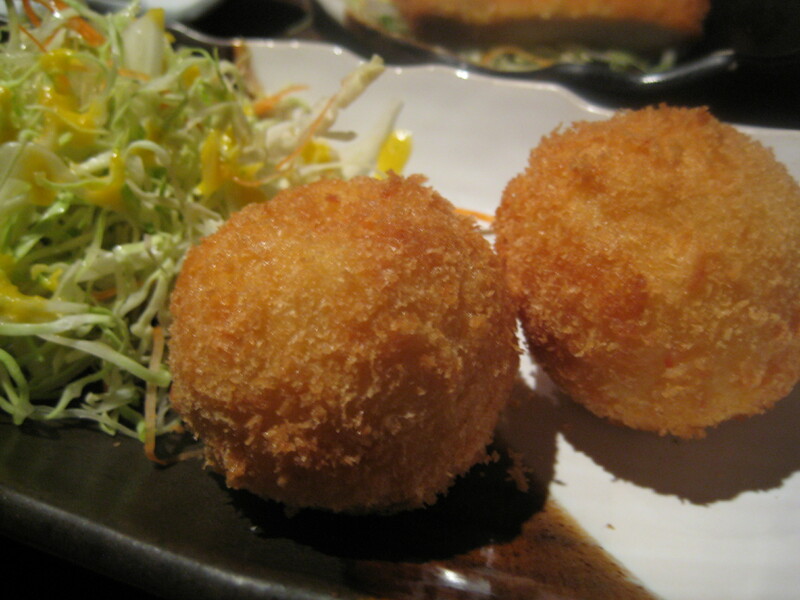 You can’t go wrong with croquettes – potato / crab / deep fried? It was definitely a favourite amongst the diners… two was simply not enough! We were all deliciously full. I, for one, was ready to tackle another day of shopping in Mong Kok!